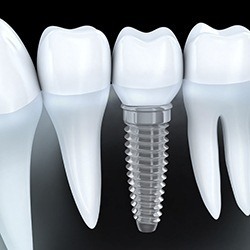 When it comes to rebuilding smiles that will stand the test of time, dental implants are the top recommendation here at Dental Dynamics. This state-of-the-art system is wholeheartedly unique because it recreates every part of the natural tooth, not just the visible, white crown. Better yet, our proven team of experts can personally handle the entire treatment process right here in-office – no tedious referrals to separate specialty offices required. Contact us today to schedule your FREE consultation and start exploring ways to replace missing teeth that you definitely won’t regret! Why Choose Dental Dynamics for Dental Implants? 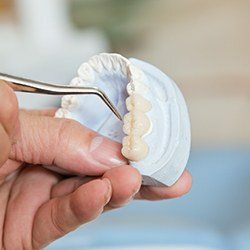 Implant-retained teeth are virtually indistinguishable from the originals in every possible way, including aesthetics, function, and overall feel. It’s extremely likely that no one around you will even be able to point them out. Dental implants can be cared for just like natural teeth with diligent oral hygiene and regular checkups here in Skokie. Implants offer incredible longevity – they are built to last for several decades, and some patients are able to enjoy them for the rest of their natural lives. Whether you've lost a single tooth or an entire arch, dental implants are a great option for most patients. Highly customized restorative solutions will be paired with the implants to seamlessly replenish a complete, confident smile. If there’s only a single gap that needs attention, an implant-retained crown is the right option. This all-ceramic “tooth” will fit right into place alongside natural dental structure, and it’s conservative enough that we won’t have to make any significant, damaging alterations to accommodate it like with a traditional bridge. Have you lost several teeth in a row? An implant-retained dental bridge could provide the sturdy coverage you need most. While traditional bridges require nearby natural teeth to be filed down for support, this modern alternative relies on two placed dental implants instead – one on either side of the gap in question. The final result is attractive, healthy, and strong. Implant-retained prosthetics can successfully replace several teeth at once or even an entire arch! They’re also more cost-effective because they only require the support of a small number of dental implants that have been anchored strategically throughout the mouth. All-on-4 is an additional option for patients who need comprehensive reconstruction; as the name suggests, the entire prosthetic can be sturdily anchored with just four implants. 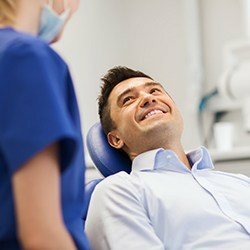 Because dental implants do have a surgical component (their initial placement into the patient’s jawbone), most general dentists have to refer their patients to separate specialists to handle this stage of the treatment process. At Dental Dynamics, Dr. Davidson has gone ahead and brought the experts straight to you instead, saving valuable time and helping you stay comfortable with a team you already know and trust. Dr. Yousuf is our periodontist, and Dr. Katsnelson is our oral surgeon. Both of them are available to help with even the most complex implant needs and guide patients closer towards their revitalized smile. Every patient’s needs are different, which is why the best way to determine a fair cost for your procedure is to attend an in-depth implant consultation with our specialists. It’s important to remember that while choosing dental implants for tooth replacement is certainly a financial investment, the lifelong benefits should far outweigh the cost. 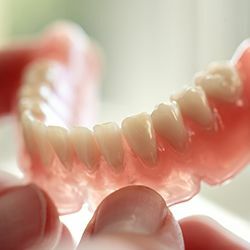 In fact, it’s very likely that your new “teeth” will only require minimal maintenance over the years, while dentures and bridges typically need to be repaired and replaced after much less wear.